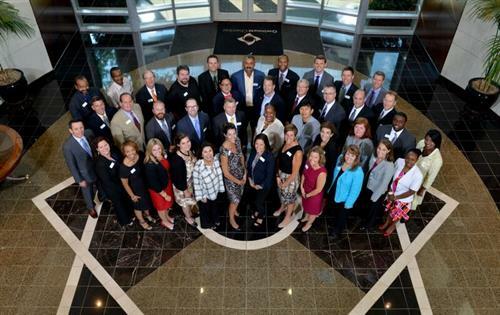 Leadership Gwinnett's mission is to educate, equip and engage existing and emerging leaders through a diversity of people, thoughts and experiences that lead Gwinnett to a better future. This is done through leadership programs, events and programming designed to inspire, challenge and connect people at all levels of leadership development. 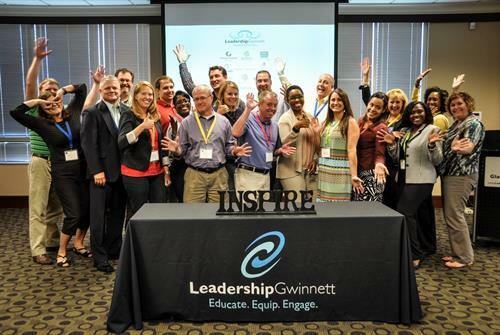 Leadership Gwinnett is a well-respected 9 month community leadership program with a rich 30 year history. The program is transformational for both participants and the organizations they lead. Through exclusive tours and hands-on experiences, participants fully explore and learn about local government, education, economic development, health & human services, infrastructure, and what it means to be a regional player. Experienced leaders from all fields who desire continued personal and professional growth and who want to strengthen their organization and community should apply. Applications open January of each year and a class of 40 is selected in June. Glance Gwinnett is a 2 ½ day, action-filled experience that's sure to inspire. You'll meet passionate individuals leading the arts, education, government, social services and economic development in our community. You'll get an insider's look at areas of Gwinnett you may have never seen, and you'll grow both personally and professionally. Anyone with enthusiasm to learn more about Gwinnett and take a more active role as a citizen should participate in Glance Gwinnett. No applications necessary. Offered four times per year to a class of 30, first come first served.